At Access, we will compliment your most memorable experience in the field of luxury transportation and service. We aim to please, and do so by exceeding expectations in the quality of our buses and the integrity of the drivers. Our commitment is always to provide prompt, professional and safe transportation for any size group, large or small. We guarantee an accommodative experience from the time of reservation to the moment we safely reach your final destination. 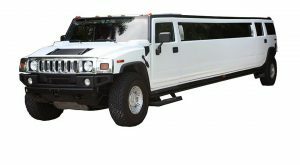 Build memories in one of our exotic H2 Hummer Limousines today! To better serve you, Access Limousine is open 24 hours a day, 7 days a week. We invite you to contact one of our friendly Customer Service Representatives toll-free at 1-703-823-0005 for personal assistance in reserving your H2 Hummer Super Stretch Limousine or try our convenient online form to request your Free Quote today!